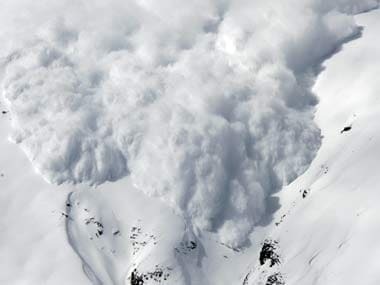 An avalanche warning was issued on Friday for higher areas of Jammu and Kashmir, Himachal Pradesh and Uttarakhand asking people not to venture in these areas over the next 48 hours. 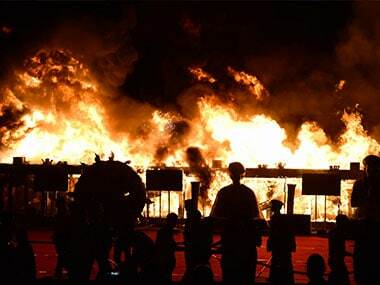 The Mumbai fire department on Wednesday said the massive fire which played a spoilsport at a Make in India Week event in Mumbai on 14 February was caused by defective electric circuit. In images: Training may have helped for two hours, but how did Lance Naik Koppad survive the Siachen cold? The odds were so against him that only the caprice of Fate saved Lance Naik Hanumanthappa, the soldier rescued from Siachen. 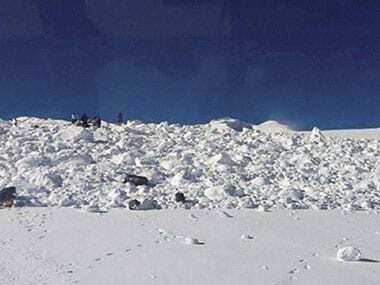 Army on Monday recovered body of one of the 10 soldiers who died in an avalanche in Siachen Glacier six days back. For the third day on Friday, teams of army and air force continued to dig into a huge mass of snow to recover bodies of 10 army personnel in Siachen. All the ten Army personnel trapped after a massive avalanche struck their high-altitude military post on Wednesday in Siachen Glacier were declared dead. 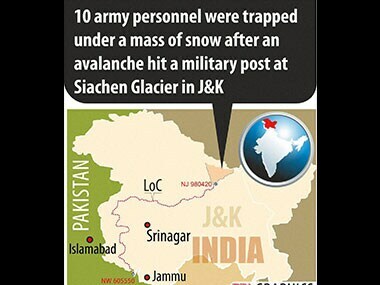 After an avalanche buried 10 Army personnel when it hit a high-altitude military post in Siachen Glacier, chances of finding any survivors were very remote. 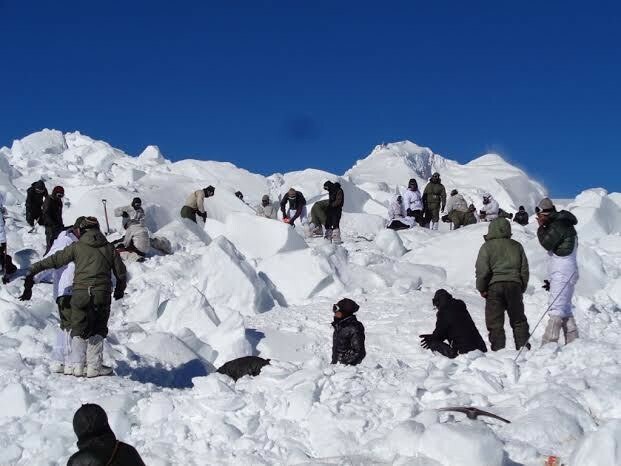 Ten army personnel, including a Junior Commissioned Officer (JCO), were trapped under a mass of snow after an avalanche hit an army post at Siachen Glacier. 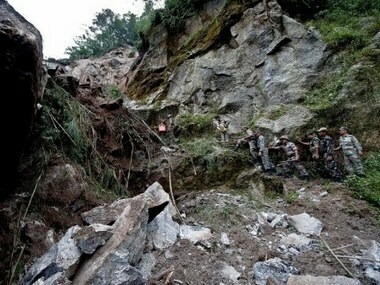 Two persons, including a child, were killed and five others injured in a landslide in Darjeeling hills district of West Bengal. A strong 6.7 magnitude earthquake originating in India's northeastern region today jolted neighbouring Bangladesh, forcing thousands of people to rush out of their home in panic.